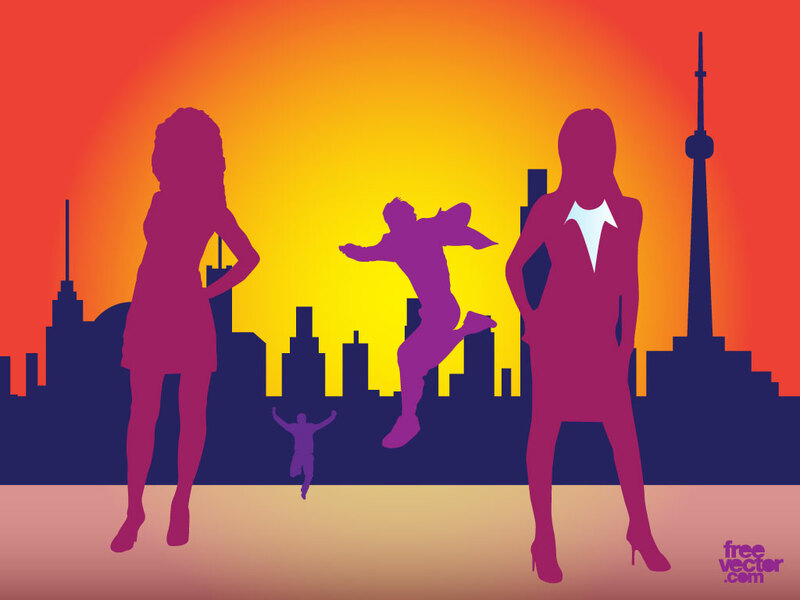 This silhouette pack comes with four different people standing and active in front of a city skyline. Great urban and office graphics for your business, finance and office designs, websites and blogs. Download as AI and PDF for your needs. Tags: Active, Buildings, Business, City, Dynamic, Jump, Silhouettes, Sunset.